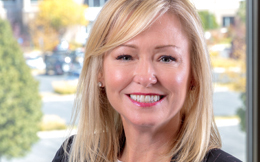 Wendy Ogden is the Senior Director of the Beauty Essentials Product Portfolio at Young Living. She oversees all Personal and Skin Care products, including the Savvy Minerals cosmetic line. Wendy has had a passion for beauty and skin care her entire life, and she is driven to create natural formulations that perform as well as conventional beauty products without compromising the luxurious experience. In 2017 Wendy and her team launched a mineral-based cosmetic line, Savvy Minerals by Young Living, which is free from harmful chemicals and synthetic ingredients commonly found in mainstream cosmetics. Wendy graduated from Westminster College with a Master of Professional Communication, Marketing Emphasis. Wendy holds a Bachelor of Arts in Graphic Design with a Minor in Art History from the Savannah College of Art and Design in Savannah, Georgia.